The sweet life in Italy is thoroughly entwined with its long standing culture of farm to table food. What is now called the slow food movement was once just how Italians ate and conducted their lives. Life centered around the table. In America it's a bit harder to pull off but today I am home for lunch and thinking about the importance of slow and local food. I made fresh pesto from the basil, cheese and garlic I got t the farmers market yesterday and I am ready to taste a bit of Italy and reminisce about my summers there. Italian food culture literally grew out of how far you could walk for an ingredient. At our country house, the olive oil, wine, cheese and vegetables all came from the very valley we lived in. The bread and pasta were made in town and we would pick them up from Maria fresh. Life in Umbria always seemed to go a little slower and seems to refer back to it's roots with the sounds and scents of the landscape. The stone walls seem to speak of a past it is not ready to give up. The slow food movement and its appreciation of and tribute to locally produced food, as well as the reduction of the miles that food travels from field to plate, has been embraced by all of Italy. This is particularly true in the rural regions, far away from the metropolitan areas because people deeply understand the value of food, fresh from the land that you walk on, food that shares your air. 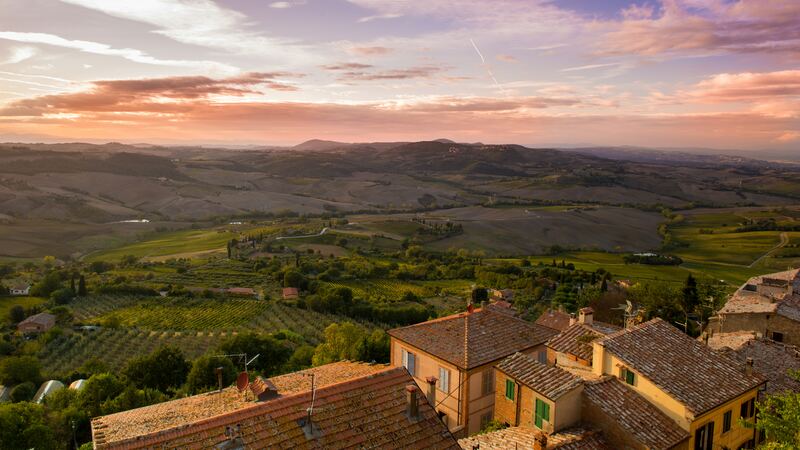 In Tuscany, its not just the preservation of Brunello di Montalcino and Vino Nobile, that the slow food movement is interested in, its Certaldo onions, and Sorana Beans among many others. Each food zone within the various Italian regions focuses on the preservation of the culinary ingredients that make up the essential character of their local foods. There are many dishes in each zone. I am so glad that they are being protected.